A new robotic surgery procedure offered at St. Joseph Mercy Ann Arbor called TORS (Trans Oral Robotic Surgery) has been approved by the FDA that offers a solution to sleep apnea, a serious sleep disorder that occurs when a person’s breathing is interrupted during sleep. People with untreated sleep apnea stop breathing repeatedly during their sleep, sometimes up to 50 times an hour. With a host of associated ailments including hypertension, abnormal heart rhythm, stroke, traffic and workplace accidents — even death– sleep apnea has become a national priority as it contributes to excess health care costs and poor quality of life. For the 18 million Americans who suffer from Obstructive Sleep Apnea, TORS offers another option for those who are not finding relief from existing methods, such as CPAP (Continuous Positive Airway Pressure) breathing masks, dental appliances or weight loss. For select patients, this minimally invasive procedure allows doctors to surgically remove the soft tissue in the back of the throat which is causing blockage of the airway. With the use of the da Vinci Robotic Surgery System, surgeons are able to reach farther back into the oral cavity and visualize better than ever before using high definition 3D cameras and miniature robotic arms. As the lead institution in the FDA clinical study, St. Joseph Mercy Ann Arbor (SJMAA) has been the site of more than 200 TORS procedures performed by Dr. Hoff since 2010. This is the largest number of TORS procedures done in the world, making SJMAA a center of excellence. John Hoffmann, who lives in Brighton and owns a floor covering business, has suffered from severe sleep apnea for most of his 65 years. His wife, who works as a surgical technologist at SJMAA, encouraged him to consider TORS. “I was always dog tired and falling asleep at work or at the dinner table—even at stop lights– and my snoring was terrible,” said Hoffmann. Hoffmann had the surgery a year ago after struggling with the CPAP device that he found awkward and cumbersome. He had his uvula, adenoids, tonsils and soft tissue at the back of his tongue removed, and although recovery was difficult, he says the surgery was well worth it. St. Joseph Mercy Sleep Centers are dedicated to helping patients by providing a state-of-the-art comprehensive program for the diagnosis and treatment of sleep disorders. The centers provide the latest overnight “in laboratory” studies as well as “home” studies to diagnose and treat sleep apnea, narcolepsy, insomnia, restless leg syndrome, snoring and other disorders that can affect patients’ quality of life and, if left untreated, could result in much more serious medical conditions. 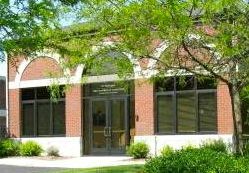 Locations with sleep centers include St. Joseph Mercy Ann Arbor, St. Joseph Mercy Chelsea, and IHA Sleep Disorders Centers in Howell and Brighton. For more information, call 855-SJROBOT or visit stjoeshealth.org/robot.